Relocating to a new house is stressful enough without having to worry about the logistics of an entire move. So when it comes to the heavy-lifting (literally), leave it to the professionals — professional movers, that is. Experienced Fitchburg, WI moving companies consist of expert movers and packers who can efficiently pack, move and assemble your Fitchburg belongings to ensure that you get off to a good start in your new home! With over 8 years of experience in the moving industry, we understand the hassle of the job. 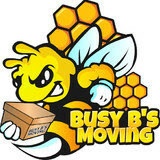 Busy B's promise to our clients is to complete our moves with compassion and efficiency. We have served Sun Prairie, WI, Madison, WI, Middleton, Wi Milwaukee, WI, and surrounding areas. From moving a couple of items to moving whole house loads we have a solution! Even if you are moving out of state. From Busy B's Moving, you can expect consistency and integrity. Our trained professionals will pack, wrap, and pad your items to ensure a safe move. 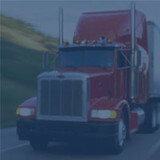 From your estimate to your unload, you will be stress-free. 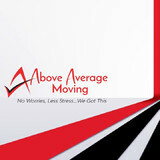 The expert movers at Above Average Moving know moving can be an exciting, yet stressful experience. However, with Above Average Moving by your side, there is nothing to worry about. We will give you an accurate moving estimate so there are no surprises on moving day.